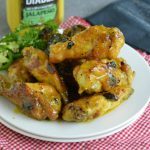 Simple, full of flavor, and super versatile! 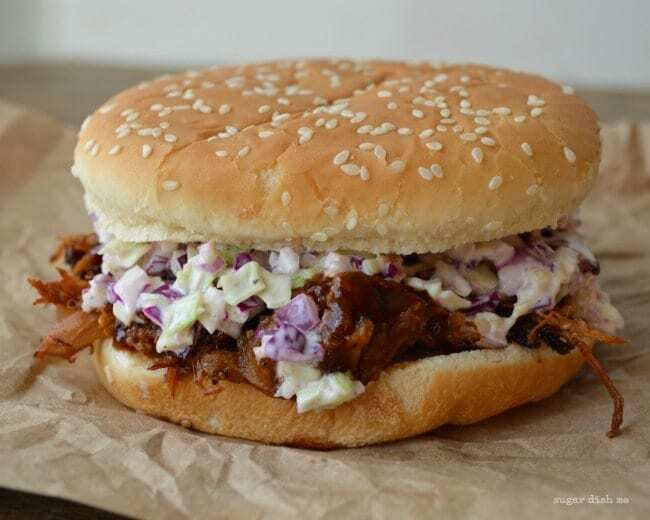 This easy recipe for Apple Butter Pulled Pork is perfect on sandwiches, tacos, pizzas, and good old fashioned barbeque plates piled high with potato salad. This content is sponsored by Musselman’s Apple Butter but all opinion, photos, and original recipes are my own. I’ve partnered with Musselman’s this year to bring you a wide variety of Apple Butter recipes because gahhhh there is so much more to do with apple butter than just put it on toast. I have made this Apple Butter Pulled Pork so many times in the last 30 days… it’s almost embarrassing. But I guess with a nod to its deliciousness AND its total versatility, no one around here seems to have noticed. Or really seems to mind. I think that MUST be because I have served it no less that 4 different ways. All were a hit, all came together REALLY easily, and bonus!!! There’s going to be pizza. 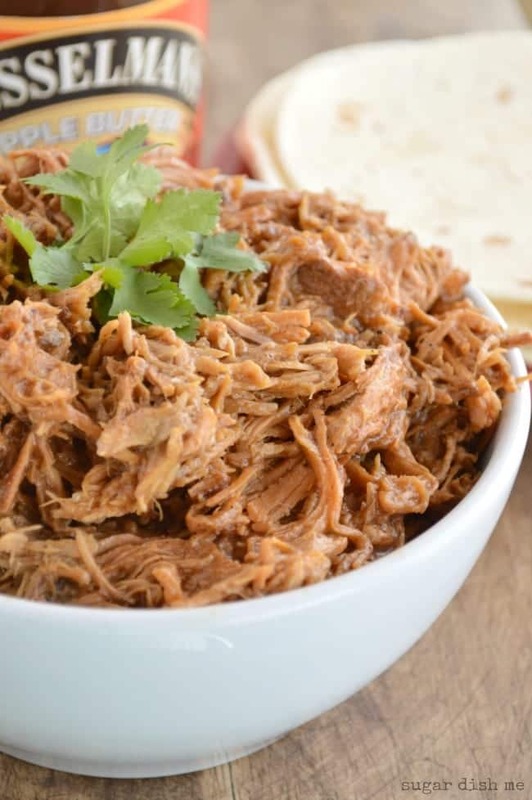 A good slow cooker pork recipe starts with a good seasoning and then a good sear. I used Musselman’s Apple Butter to make the sauce. 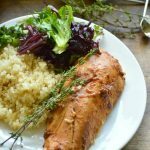 It has a great, unique taste — there’s a lot of depth to the flavor and I really like it in recipes that can go sweet OR savory. Apple Butter walks a nice little line somewhere in the middle. The best best BEST thing about this recipe though, is that you can take it in SO many different directions. 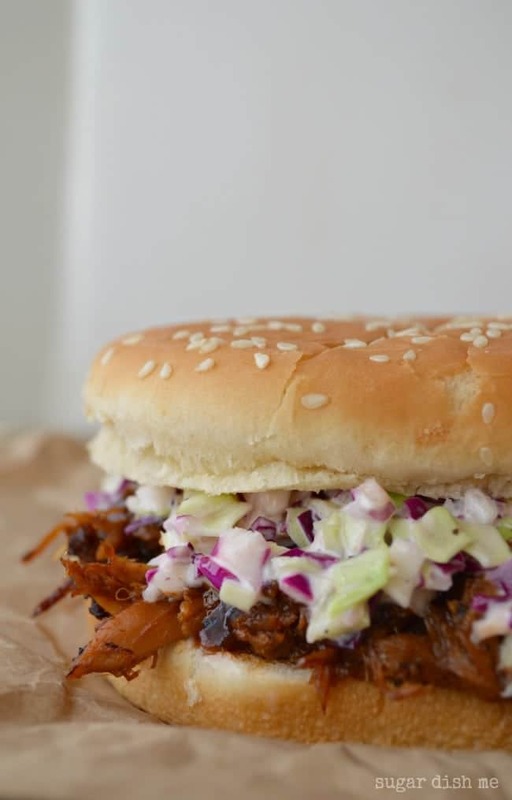 This easy sandwich is just Apple Butter Pulled Pork + the Apple Bacon Slaw from my BBQ Bites recipe. And actually you could use this pork for the BBQ in those bites, too. 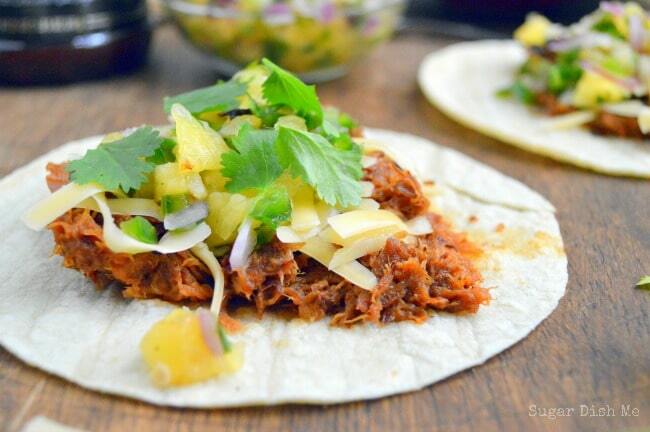 You could make tacos with the pulled pork and this Pineapple Slaw . Sweet and spicy — and the slaw comes together in 5 minutes, which makes this EVERY BIT of a 15 minute dinner (once you cook the pork, I mean). Grab yourself a plate and pile it high with Warm Herbed Potato Salad, some Apple Butter Pulled Pork, and a few veggies. That is southern dinner at its finest. Put the pork on a biscuit. 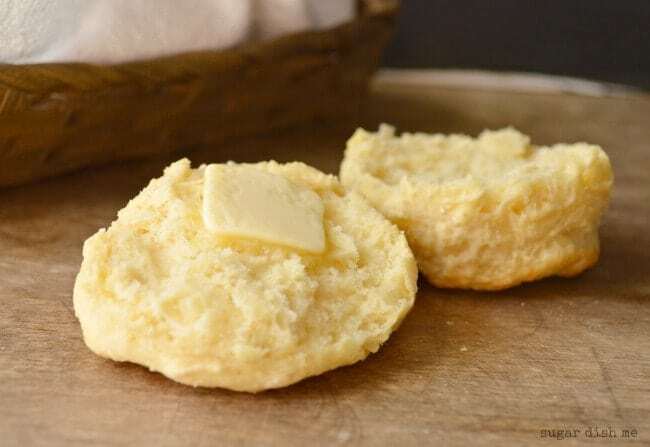 A big fat fluffy Greek Yogurt Cheddar Biscuit, to be exact. If you can’t tell, I love these. And I did not forget that I promised you pizza. Pulled Pork Pizza is OUTSTANDING!!! It’s piled high with things like caramelized onions, bacon, and look! There’s pineapple again! 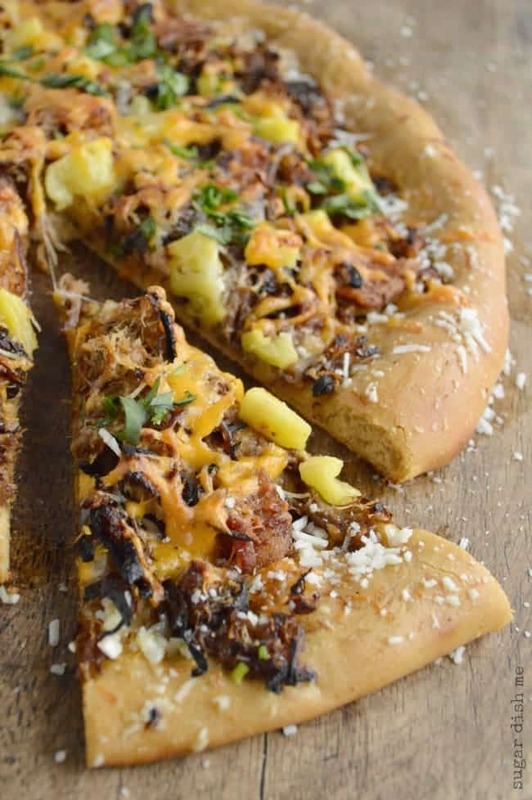 Also it’s on a Copycat Mellow Mushroom Pizza Crust so it’s automatically #1. Since there are so many directions to go here, I recommend doubling the recipe. 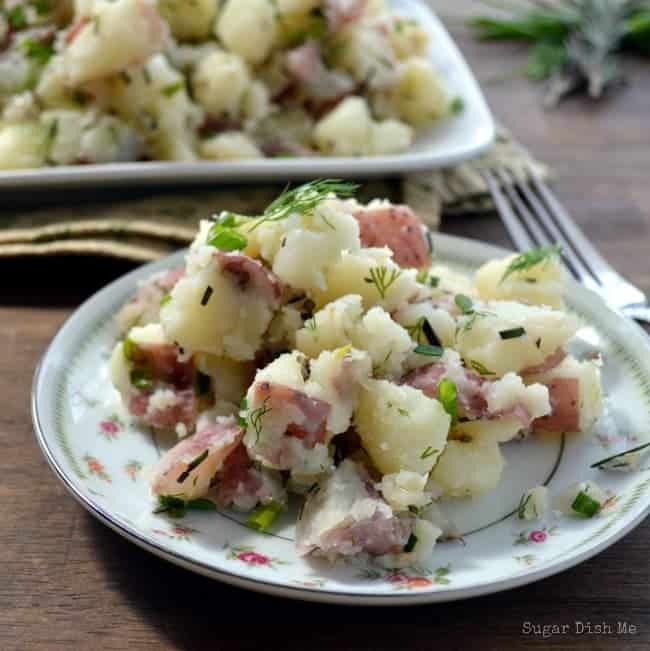 An easy and versatile recipe that is perfect on sandwiches, tacos, pizzas, or barbecu plates piled high with potato salad. 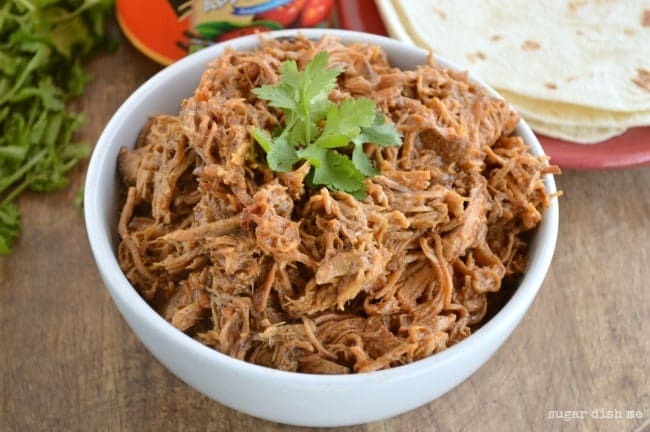 Apple Butter Pulled Pork is full of flavor and can easily be made ahead of time. Since this is a slow cooker recipe please note that the cook time is long, but the actual active time required is only about 15 minutes. Heat the oil over medium high in a large skillet. Sprinkle the pork on all sides with the salt, pepper, paprika, and cumin. Sear the pork in the skillet to form a nice crust; about 1-2 minutes per side. Place the seared pork in your slow cooker. Whisk together the apple butter, cider vinegar, and dijon mustard. Pour it over the pork. Cover and cook on high for 4 hours. Shred the pork using two forks, carefully discarding any bones. Leave it in the sauce you made. Keep warm until serving; this can also be made a day ahead. If you double the recipe you will probably need to add 1-2 hours to the cook time. For more Apple Butter Recipes by me Click HERE. For a great big ton of Apple Butter Recipes, check the Musselman’s Website. You can also follow them on Facebook, Pinterest, and Twitter. I love anything with Apple buttwder!! Makes everything taste amazing. Thanks for sharing! Oh, WOW! I’ve never thought of putting apple butter in my pulled pork sauce. SUCH a fabulous idea!! Will definitely have to give this one a try. I am all over a meat recipe in the slow cooker..that’s the only way I know how to cook meat 🙂 So this is perfect! Love that you used the Apple Butter with the pork! And those sandwiches…look to die for!! Can’t wait to try this! Love the idea of the apple butter with the pork! I do a lot of pulled pork here, but never tried it with apple butter. 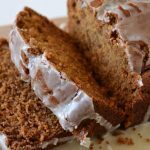 This recipe is naturally gluten-free as written too! Love that it is made in the slow cooker! Such a good idea to use Apple butter with your pulled pork. I love that brand too. My favorite! Oh WOW, Heather! Of course everyone knows that apples and pork are a great combo, but this is a whole new spin on it! So creative! Ok, I saw the pizza so naturally I wanted this recipe too! This pork would be great for so many things and I know my kids would actually want to eat it! My kids loooooove this pork. Hope you’ll try it! This is the perfect flavor pairing!! GReat recipe Heather! 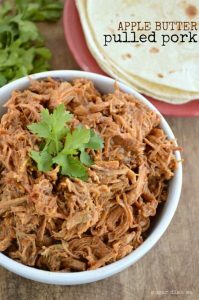 Love pulled pork and love all the ways I could use this recipe! Definitely doubling it! We always double it Maegan! That’s the name of the game when you are feeding boys! This looks amazing – and so easy to make! I love the sweet and savory combination. Super easy to make. Thanks Jordan!! I want to make this really soon! 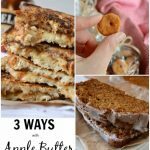 I’m loving the apple butter idea!! Hope you’ll try it! Thanks, Jaren! Hi Heather! Does this freeze well? May not use all at once and would love to have some on hand when needed/wanted. Thanks! Hi Stephanie! It absolutely freezes well! Enjoy!